service and repair tankers, reefers, end dumps, cattle trailers, hiab truck-mounted cranes and roofing conveyors. 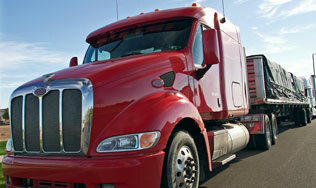 Alamo City Truck Service has your truck and trailer repair needs covered. We offer specialized repairs for: axle alignments, brake jobs, spring brake chambers, springs and hangers, torque arm bushing, equalizers, seals, axles, aluminum floor repairs, oak/laminated floor repairs and scuff strips repaired or installed. Alamo City Trucking Service can repair and service your Moffett Forklift. Got a crack? Alamo City Truck Service specializes in aluminum and stainless steel welding. No problem. Alamo City Truck Service can fix swing, roll-up types, reefer and dry box doors on your trailer. Get them inspected, serviced and repaired. Alamo City Truck Service is an ASME Certified tank repair facility. All of types of leaks repaired and pressure tested. Inspections, free estimates and fast service.